Amanda Nord began her dance training at the age of three in the Twin Cities area of Minnesota. She continued her training and at the age of thirteen she started to compete in competitions with the City Scape Dance Company. She competed in nationals in Las Vegas, NV through the International Dance Challenge. She continued her training at the Perpich Center for Arts where she graduated with Honors. Amanda then moved to Seattle, WA to study at The Cornish College of the Arts. While at Cornish she primarily studied the dance styles of Ballet, Modern, Latin Partnering, and Argentine Tango as well as courses in Choreography, Teaching, and Body Studies such as Anatomy and Kinesiology. While at Cornish she was able to perform for Cornish Dance Theatre, Strictly Seattle, and at the venue On The Boards . 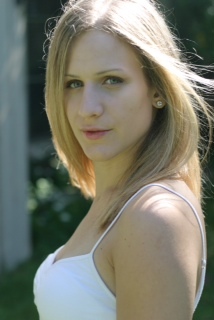 Amanda graduated from Cornish with a Bachelor of Fine Arts Degree in Dance. After graduation she moved to New York to peruse her career in dance and joined the Isadora Duncan Dance Company company as a performer and teacher for several years. Amanda also has certifications in Personal Training, Group Fitness, and CPR. She recently joined the team at Arthur Murray 5th Avenue and is very much enjoying her life with dance.